The official Steven Universe Podcast just wrapped a first season filled with great interviews and awesome behind-the-scenes insight into the Cartoon Network show. Hosted by McKenzie Atwood, the SU superfan turned CN intern, the Steven Universe Podcast has ten episodes under its belt running around half an hour apiece. McKenzie is always a gracious host, exuding an enthusiasm for the show and her guests that is as genuine as it is infectious. It is delightful to hear her gain confidence and skill as a host throughout the podcast’s first season run, and I earnestly hope she can return to CN studios some time in the future for a second season (and beyond). Rebecca Sugar, the creator of Steven Universe, features in several episodes of the Steven Universe Podcast. She speaks on everything from the casting process to her songwriting inspiration to stories from her and her brother’s childhood which directly inspired scenes from the show. The tenth episode, “Leading the Way,” not only included an extensive session in which Sugar answered fan questions gathered from many corners of the internet, but a ukulele version of an upcoming song from the show. The Steven Universe fandom is currently abuzz with theories about who the singer of “Escapism” might be. 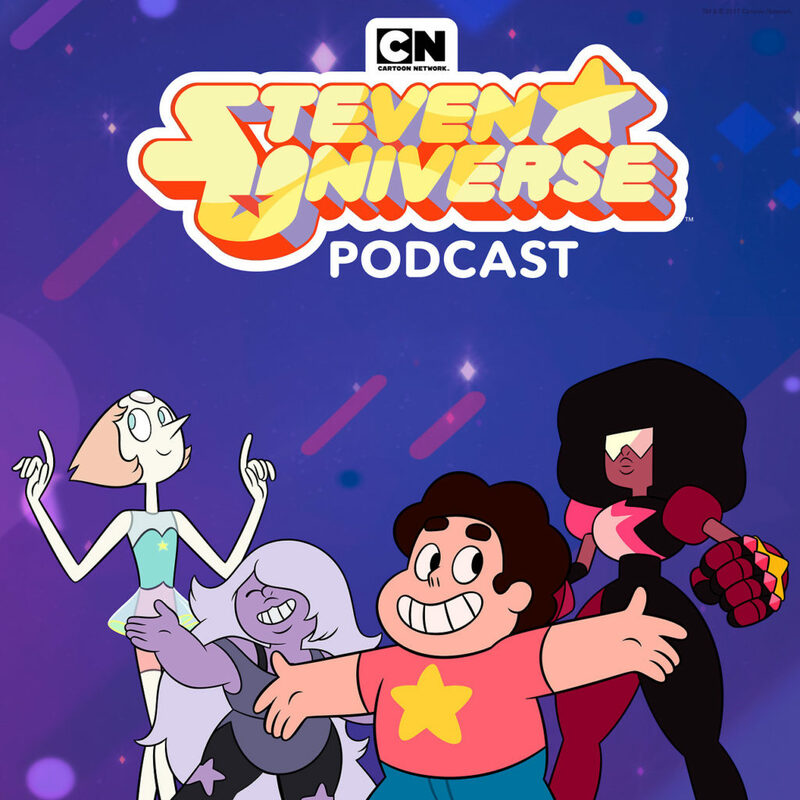 The Steven Universe Podcast also has episodes featuring the voices of Steven (Zach Callison), Connie (Grace Rolek), Amethyst (Michaela Dietz), Pearl (Deedee Magno-Hall), Peridot (Shelby Rabara), and Lapis Lazuli (Jennifer Paz). While it’s always awesome to hear the voice actors in and out of character, some of my favorite guests were the less well-known contributors to the show. Folks like Efrain Farias, a colorist on the show, and Nick DeMayo, the animation director. Besides SU fans, anyone who is interested in getting involved in the animation industry should give the Steven Universe Podcast a listen. There is invaluable insight from insiders available throughout. You can find the Steven Universe Podcast anywhere you download your podcasts, like iTunes or Pocket Casts. You can follow McKenzie on tumblr at pearl-likes-pi or @MKatwood on Twitter. Previous:Boruto: Naruto Next Generations 1×25 Review : A Turbulent School Trip! !